Through the generosity of Network Rail and Telent Technology Services, a pair of redundant Cab Display Units and other redundant RETB equipment have been donated to Glenfinnan Station Museum. The Radio Electronic Token Block system was introduced in the late 1980’s to signal the vast majority of train movements across the West Highland, Kyle and Far North Lines. Over the last few years, the equipment has been replaced and upgraded, allowing some of the original items to be donated to the museum where they will be displayed to the public, eventually forming part of the interactive signalling demonstration. 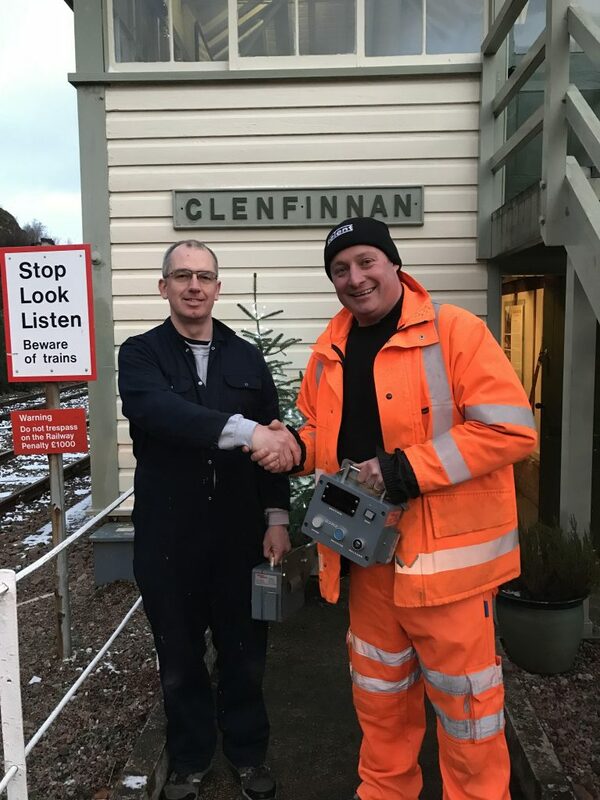 Lee Clinton, Senior Operations Manager at Telent Technology Services, handing over one of the units to Glenfinnan Station Museum volunteer Nick Jones.